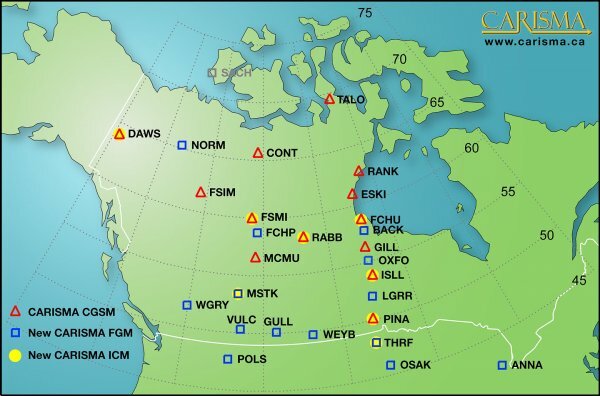 The following map (click to enlarge) and table list all the sites in the CARISMA magnetometer array. 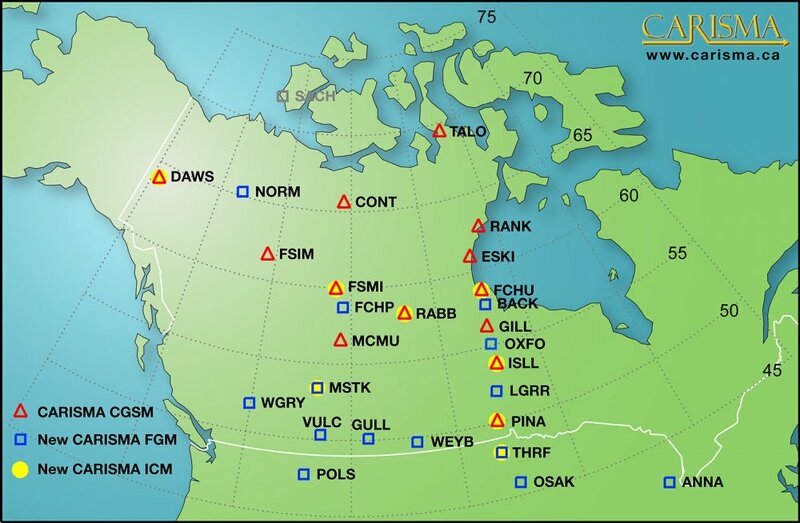 The colour key indicates an original CGSM (the CANOPUS network) in red, a site that is part of the CGSM expansion in blue, and an upcoming site deployment in grey. 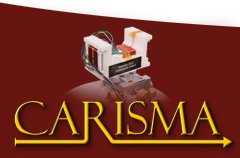 CARISMA sites fitted with a pair of Induction Coil Magnetometers (ICMs) are shown in yellow.